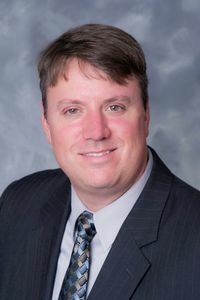 John W. Furst, Associate, who joined the firm in September of 2014, is a New York State licensed attorney with almost 15 years of practice experience focusing in the areas of real estate, environmental, land use, zoning and municipal law. John represents developers and municipalities throughout the Hudson Valley in the land use review and approval process. He regularly appears before (and represents) local municipal planning, zoning and legislative boards in often complex and controversial approval processes. John has worked with major international corporations and successfully obtained approvals for the construction of cell towers, gas stations, drug stores, banks and big box retailers, as well as single family residential subdivisions and multi-family residential developments. In addition, John has also been involved with approvals for religious and educational uses. John is able to manage all aspects of the land development process, beginning with negotiating contracts/leases, conducting any due diligence, procuring the necessary land use approvals (including navigating clients through the SEQRA process) and litigating any disputes.